This is a terrific trip for paddlers of all skill levels who enjoy sleeping at the water's edge on a warm sandy beach at the end of a day. 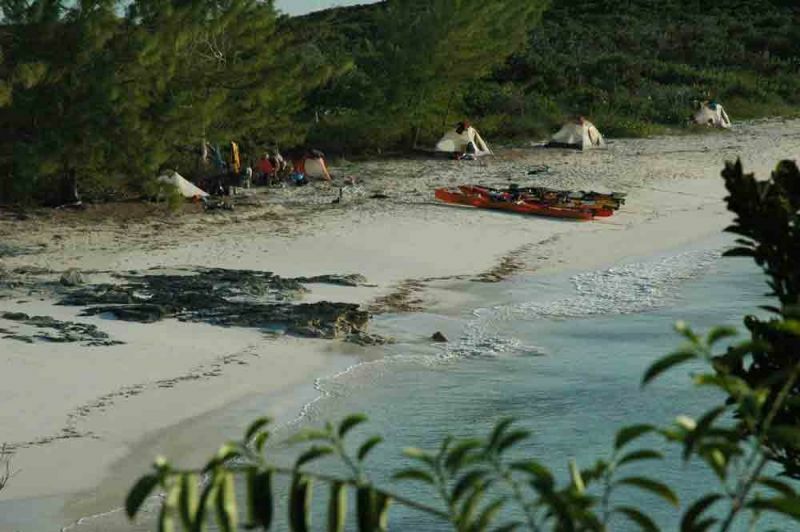 This is a camping expedition and some of the warmest waters the world has to offer. We'll be experiencing the environment first-hand as we traverse this island archipelago. This is certainly not a survival experience, you'll be pampered with great Bahamian style meals and be able to move at your own pace. You will however be able to gain a sense of that proverbial desert island as you experience standing on a sandy shore looking out across the deep blue sea. The physical remoteness yields a feeling of solitude, yet lends itself to the camaraderie of your fellow adventurers with an uplifting spirit. 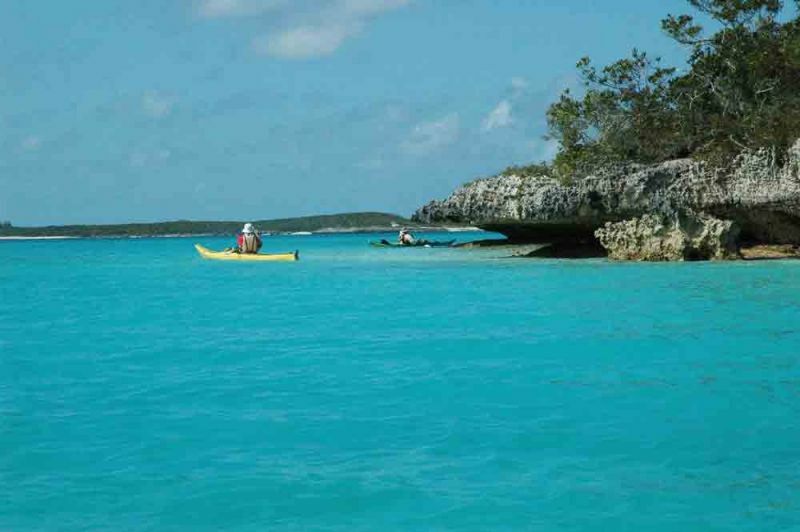 This is the Exuma experience and we're sure you'll enjoy your time here. 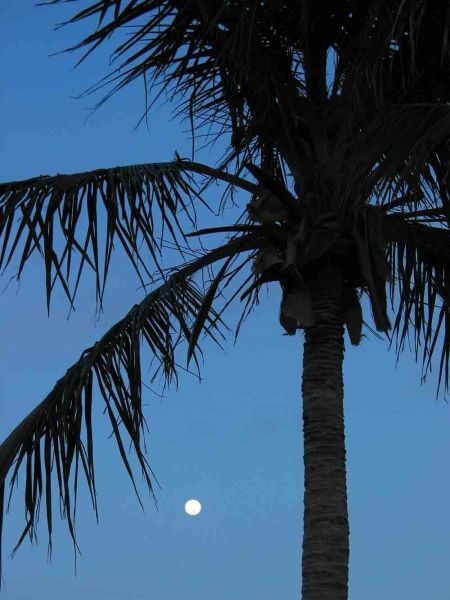 Join us for this Carribbean odyssey and get that winter tan you've always longed for. For the most part the accommodations will be on the beach but we do plan to spend a night at either end of the trip in one of the local Inns so you'll have a chance to mingle with the friendly natives and enjoy a hot shower. * The first and last days listed are travel days. Private trips can be arranged upon request. based on double occupancy; singles add $300. 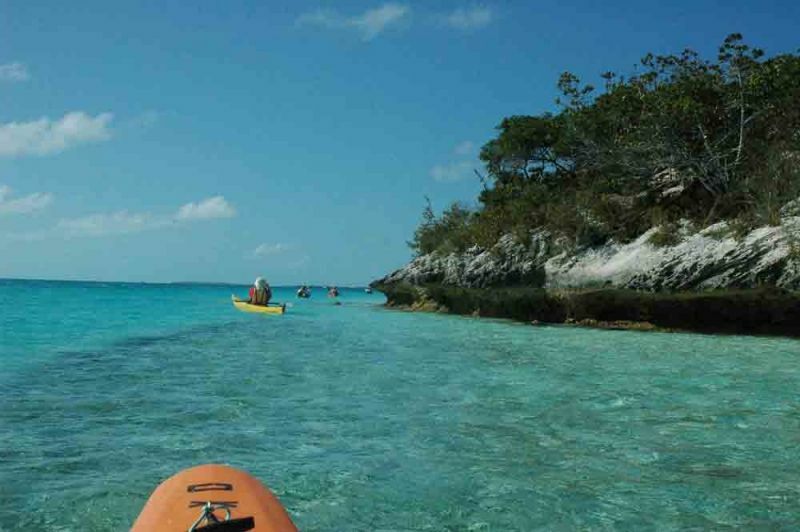 Price includes 2 nights accommodations in Georgetown, Bahamas at a local establishment, 4 nights camping, kayaking and camping equipment; all camping meals; safety equipment, and kayak instruction/leadership by H2Outfitters' Head Honcho, Cathy Piffath.